It's Color Rush Week! But before we give you our analysis of the Bears uniforms for Thursday night, Kevin recaps what went wrong in the loss to the Jaguars (2:37). We turn the page to the Packers and preview the game with Ryan Wood (@ByRyanWood) of the Green Bay Press-Gazette. What's wrong with Aaron Rodgers and the offense? Is it the fault of his brother's performance on 'The Bachelorette'? (6:58). We also discuss the big injuries the Packers have at running back and ... See More cornerback. 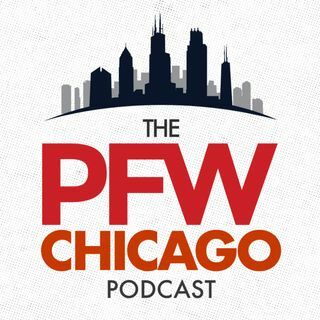 We wrap up the show with some Cubs talk — panic or confidence? — and then we give our picks for Bears-Packers.